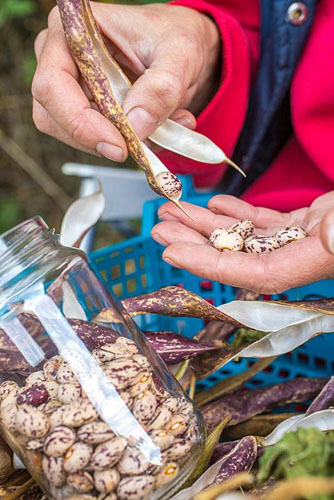 Collecting your own veg seed is a great way to save money on the plot. Ordering varieties to feed your family can quickly mount up costs, and selecting home-grown seeds from plants grown in your garden conditions will naturally provide you with progeny that are more likely to thrive in the locality. 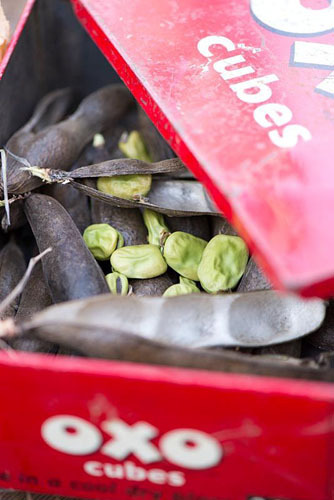 Some crops are simpler to save than others, and beans are a great example of the ideal beginner’s crop. Only save from open-pollinated plants (not F1 hybrids) and when picking pods, opt for those that are from the middle of your batch of plants. These measures help to ensure the variety remains true to type. 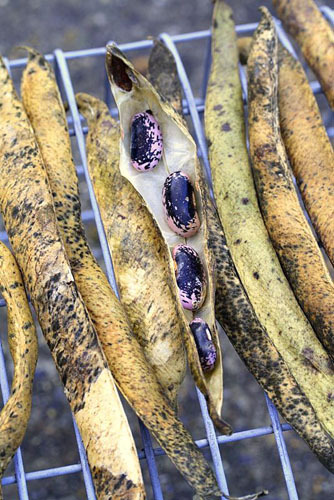 Allow a few unblemished pods to dry on your chosen plants. Runners, broad and French beans can all be saved. Ensure the plant itself is healthy and showing characteristics that you want to preserve. Lay the pods out on a tray and position this in a dry, airy spot. Slatted wooden or seed trays are ideal, placed on the staging of a greenhouse. Turn the pods every few days to ensure they dry evenly. Once fully dry and brittle, you can shuck the seeds from their pods. 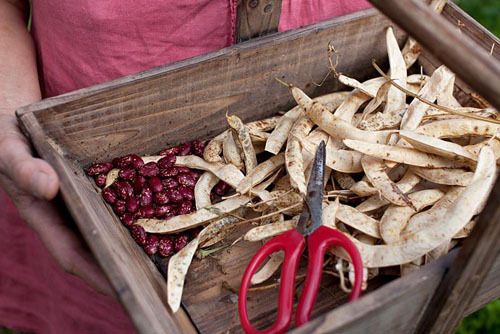 Small quantities are best done by hand to avoid damaging the beans. Pick over the seeds and remove any that are small, disfigured or otherwise flawed. 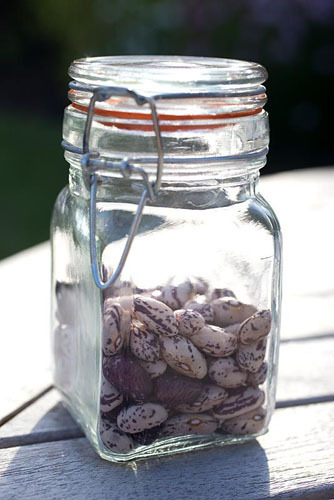 Once removed from their shells, the beans can be stored in airtight jars. Being large seeds, they’ll remain viable for 2-4 years so it’s a good habit to save seeds annually. Adding desiccant to the jars prolongs the seeds’ life. 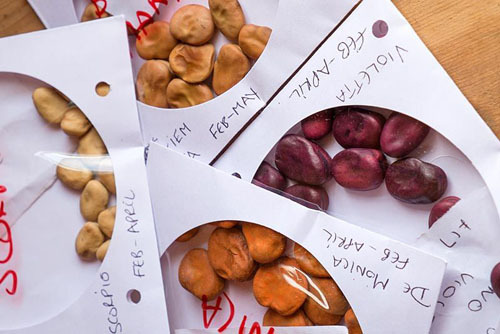 Alternative your bean seeds can be stored in paper envelopes – here, we’ve used old CD holders. Label with the variety and date collected, then place the packets in an airtight tin with desiccant. This entry was posted in Expert advice on August 27, 2015 by gapadmin. In high summer, the kitchen garden is a marvellous place to be. Harvests are tumbling through the door on a daily basis, and cooks are pulling out all the stops to preserve these ingredients as best they can. While some gluts, such as peas and sweetcorn, are ideally processed for the freezer, others are far less demanding. Onions and garlic, for example, can simply be woven into ‘ropes’ for storage in an airy shed or garage. 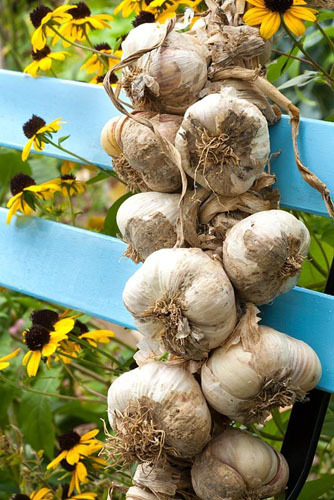 Grade your onion and garlic bulbs into sizes. Then, when you create your rope with the smallest at the top and the largest making up the base, it will look perfectly balanced. Gently rub any loose outer skins off your bulbs so that they look attractive rather than grubby. Garlic ropes are made by weaving the stems into a simple plait, so it’s crucial to give yourself enough length of stem. Don’t cut them too short on harvest or you’ll make this process very complicated for yourself! 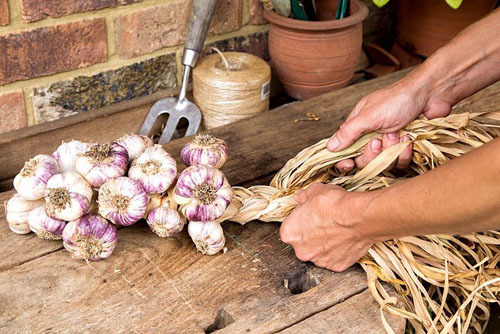 Begin your garlic plait from the base up, progressively placing a line of bulbs, left and right, one above the other. Online video tutorials are invaluable for the details. Onion ropes can be created using a loop of string to lock the bulbs into place. Carefully position the bulbs so that you create two pairs of opposite rows. The onions in each pair create the ideal resting place for the two bulbs sitting above. This entry was posted in Expert advice on August 24, 2015 by gapadmin. 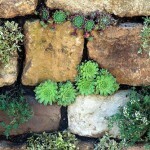 Walls – whether retaining, dividing or defining – look a lot better when nature softens them. You could scatter some seeds of Erigeron karvinskianus, Centranthus ruber, or Corydalis lutea at their base to create billows or froths of foliage and flowers, but what about higher up? If you want to give your senses a treat at eye level there are plenty of willing plants that just beg to be tried. 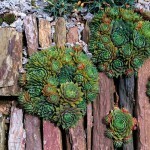 And the good news is that these aren’t horticultural prima donnas – they’re the ultimate in low-maintenance design. 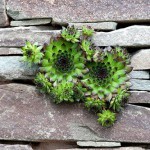 Is your wall north- or south-facing? That’s the first question to ask yourself. 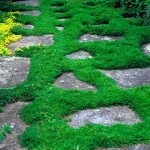 The amount of sun, shade and moisture the surface gets will determine which plants will thrive there. 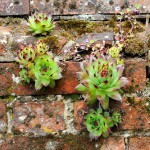 It’s also important that the plants can get a foothold – there’s no point trying to set plants off in a fully pointed red brick wall unless specific planting pockets have been made. Crumbling soft bricks, slate and stone offer natural nooks and crannies. For sunny spots, you can’t go wrong with succulents. 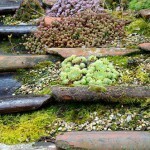 Hardy sempervivums, saxifrages, crassula and sedums will all work well. 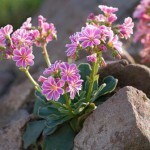 Lewisias and auriculas also lend themselves to this environment. 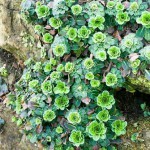 Start with small plants – it’s much more tricky trying to establish a fully mature specimen than a plug. For shade, you can’t beat ferns. 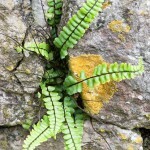 Hardy aspleniums and dryopteris have the ability to readily spread via their spores once established, allowing vertical dells to quickly take shape. This entry was posted in Expert advice on August 20, 2015 by gapadmin.